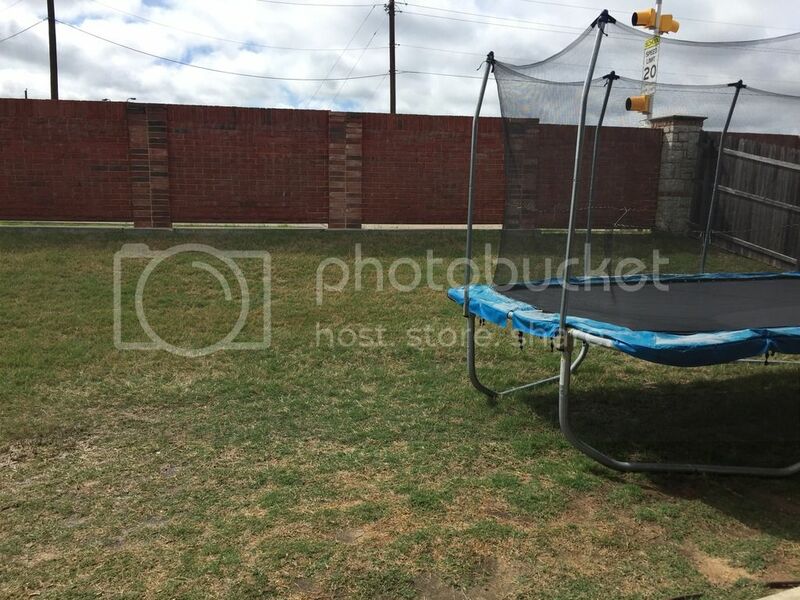 We need advice in North Texas for new pool. 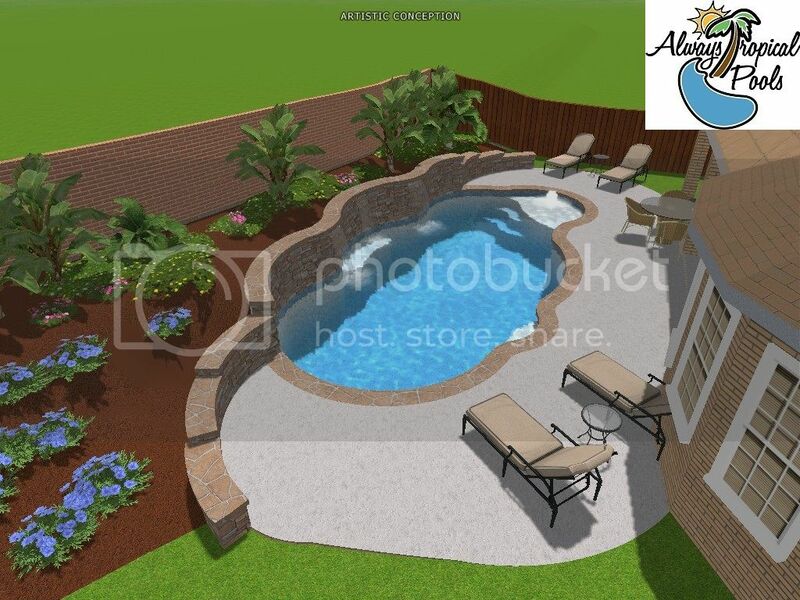 Hi all, My wife and I have decided to take the plunge and have an in ground gunite pool installed. However this process has not started as smooth as we would have liked. 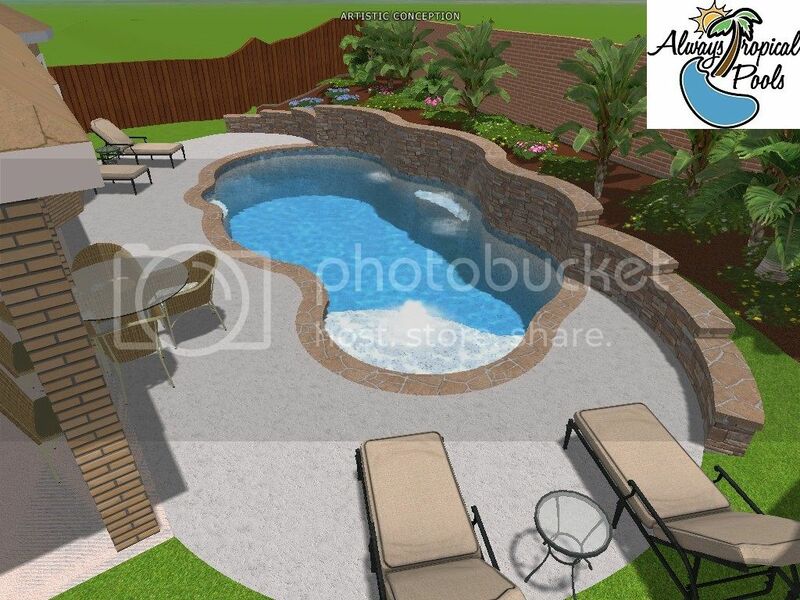 So far we have met with 7 pool builders and we think we have finally settled on the one we like. Honestly, most of the 7 we either didn't like their design at all or they didn't listen to us as far as budget goes. We would like so advice on what you think about the design, what we are leaving out, and what we should be asking. I will attach photos of the design. 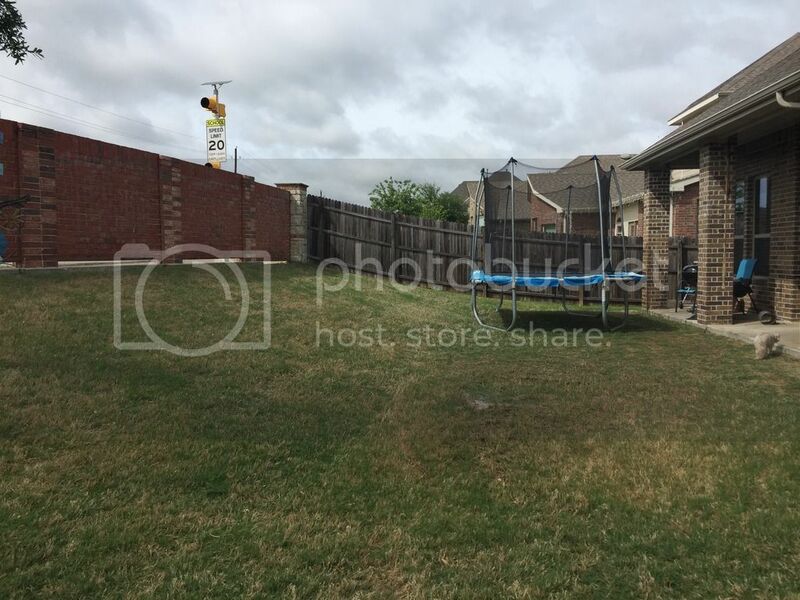 We have to have the large wall and retaining walls due to the severe slope of our yard. Stacked Oklahoma stone for the wall and retaining walls. Salt pitted concrete for the decking. Oklahoma flag stone for the coping. Tanning ledge on one end. 3 Sheer descents coming out of the elevated wall. Our biggest hurdle at the moment is the decision of what type of plaster. The builder is pushing pebbletec for longevity as we don't plan on moving anytime soon if ever again... We don't know much about pebbletec and a couple of the other builders suggested Quartz? We are pretty frustrated as each builder seems to have their own opinion and they are always very strong in their opinions. So any and all advice will be appreciated!! First off.. do not get the SVRS version of the Intelliflo. It costs more, limits your lower RPM settings, and is unnecessary. The SVRS was a great idea when main drains only had one cover. The SVRS option kept people from getting stuck on the drain cover. This is no longer a problem because no one uses single cover main drains anymore. I love my saltwater pool and you will love yours also.. Just make sure that the SWCG is rated for 2 x the volume of your pool. So if your pool has 20K gallons, you cannot use the IC20, but must at least use the IC40 SWCG. I have the smoothest pebble finish they sell and still find it a little like sandpaper. You cannot tell by the 2" sample they show. You really need to go out and see a pool that has been completed and if possible walk on it. Here in Bedford, the city requires all DE filters to be plumbed to drain into the Sanitary drain for the house (Sewer). Not sure if Sachse does or not, but you might want to check. Thanks for posting and looking forward to your new pool build. Thanks for the quick reply Jim! We will also inquire about the size of the SWCG..
What finish would you have used instead of a pebble product? We are also concerned about it being rough..
We felt the little sample and thought "that's not too bad" and that is a far as we went... Sigh!! But all finishes have pros and cons.. I'm not really up on them, but we have a number of members that are. I'm sure they will chime in soon. Just from reading here quartz seems to have issues with having a uniform color and the darker the color the harder it is to be uniform. Let's sit back and see what our other members say..
People like pebble because of the look that the finish gives (doesn't show mottling as much and the colors are more consistent) as well as the idea that pebble last longer than other finishes. For me personally I like the look of the mini pebble and the fact that you can add beads to really enhance the look of the water and give it some pop. The feeling on your feet is going to be a personal preference, most say they are not bothered by the mini pebble but if you have sensitive feet or you scraped your elbow you will feel the pebble. Be sure to get the largest filter possible so you will have less trips to the pad to clean. Also with the shelf I constantly read how owners wish they put a light on the shelf so the pool has even lighting. I would definitely look into a globrite there seeing as they are not to bright and don't take up a ton of room. 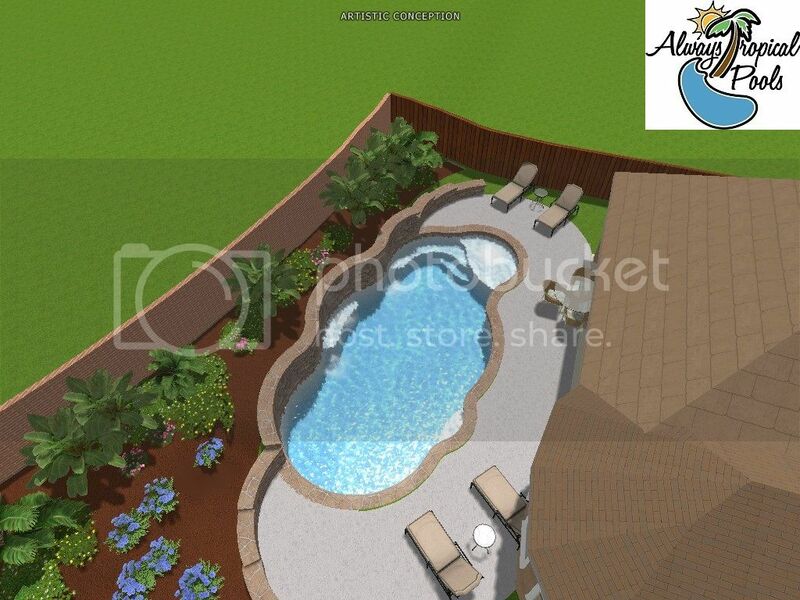 I would LOVE to see the yard this wonderful pool is going in! What a fun but scary time for you! We are here and can help. Some good food for thought. Nice to hear from someone that has been there and done that! I can't wait to start helping you spend your money so you have the best pool on the block! Thanks for the info Will, we are trying to gather as much info as possible about pebble finishes. 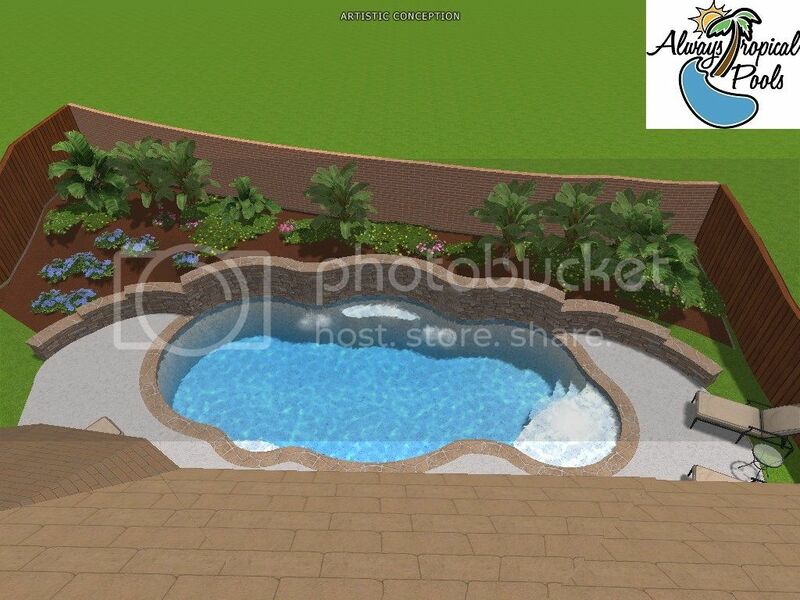 The pool builder we are leaning towards has also suggested wet edge so we are researching that also. Hi Kim, thanks for popping in! I will add some pics of the backyard in its current state tomorrow when the sun is out. And yes, this is a very scary and confusing time!! It's crazy how every pool builder seems to know whats best.. and they are all on different pages..
We just completed our pool with pebbletec in Tahoe blue with 20% glass beads ("luminous"). When we compared finish options, I thought the mini pebble (called pebblesheen) felt more abrasive (similar to sandpaper) than the larger pebble (pebbletec) so we opted for the larger one. The pebbles are rounded so they aren't rough to the touch, in my opinion, but if you were to scrape a wet knee or elbow against it you could get scratched. We chose the finish for the longevity and the color/look. We are happy with how it feels for swimming and sports in the pool. I also like that it is nonslip. Another plus is that pebbletec can only be applied by licensed pebbletec installers and the company tightly controls these. That can be a real asset if things do not go as smoothly as hoped with your pool builder. We had some issues with some of the subs used on our project but the pebbletec crew was fantastic. I'm in Far North Dallas, build started 2 years ago, so pool has been open about 18 months - just starting the second full summer. I checked out two companies and probably should have done more research and wish I'd found this site first, but I think all in all it's turned out pretty well. The first company didn't push any special plasters and the company we chose with uses PebbleTec. Of the finishes we did choose Pebblesheen. I had two friends both suggest to stay away from it because of it being rough. We really like it and it turned out very well. I don't consider it rough or abrasive, but I think after watching the process it is all about the installer. As noted above the installer should be certified and mine did a good job. I think the key to Pebblesheen is that it has to be worked a lot when being installed, this crew worked it a lot. I think the more they worked it - the better the pebbles laid flatter and became "smoother". It has a nice traction to it, but I don't consider it rough - we really like it, it just may not be for everyone. We wish we'd added some of the specialty reflective stones to it, but we didn't. We have a 6" deep sun ledge - you're welcome to come walk on it and see what you think if you are undecided. 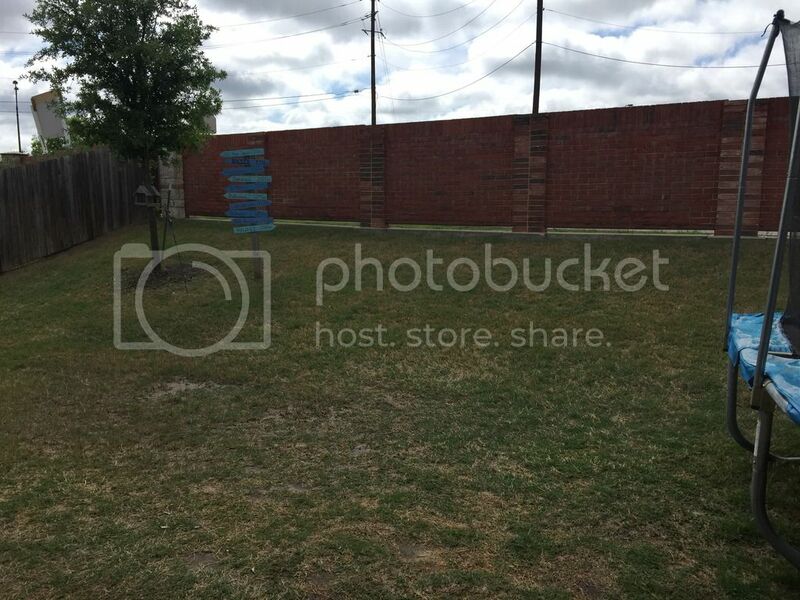 Here are some pics of our backyard in its current state. Also, we made some progress today, our PB brought over some samples of Wet Edge and we love the feel of them. So hopefully we have found our plaster choice! We are thinking of extending the second step off of the tanning ledge up into the curve of the pool for more seating.. Any thoughts on that? OH I like that idea with the bench! The more seating in the pool the better! I like how you are using the back wall to take care of the slope problem. Well done! That is going to be so pretty! We interviewed multiple builders but went with our specific builder because they offered PebbleTec and WetEdge. Other builders had pebble like options but with almost no difference in price we went with PebbleTec and the lifetime guarantee. Our installers did a great job and the more we brush it the better it looks in color uniformity. On the second step extension, I'd extend it all the way over to the bench under the sheers. That will give you lots of places for people to sit and be facing back at the deck & shelf for conversation. We went with quartzscapes reflections, Aruba Blue. We have swam a lot on Pebbletec; its just too hard on our feet. We like swimming on the quartz and love how it turned out in ours. We signed the contract. We made the change to the second step so it is more of a bench(pic included). We also decided on Wet Edge Primera for the plaster. Now we have to pick a color. We are choosing between Tahoe Coast, Azure Treasure, or Riviera Coast. If anyone has any of these I would love to hear about them! Also, we are deciding how to do the depth of the pool. The builder designed it with 3.5' at the steps and a gradual slope down to 5' at the far end. But, we are thinking we would rather have 3.5' at the steps down to 5' then back up to 4.5' at the far end. Anyone have any thoughts on that? Or how did you do yours? I have the play pool style where the deep "end" is in the middle. We (really the pool builder, as I had no clue) went with the standard 3.5, 5.5, 4.0. If I had to do it over I would have gone 4.0, 6.0, 4.0. What I have has never caused a problem, but I'd like a little more cannon-ball depth. I like that step. Well done! I like the pictures of all of the colors your pick. I say you put them on a board and throw a knife them and see where it lands LOL You cannot lose!